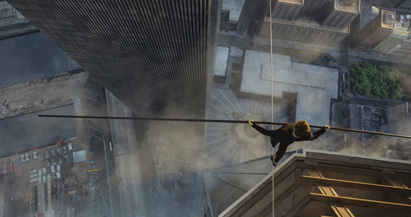 Kim Hollis: The Walk, the fictionalized telling of the Philippe Petit story, debuted in 448 IMAX-only locations and earned $1.6 million. What does this mean for its prospects moving forward? Edwin Davies: It's hard to tell since this kind of release strategy is pretty new, but even taking that into account, it doesn't look great. It may be that the film didn't promise a big enough spectacle to justify the added expense in the way that Everest did, so it may have benefited from being sold as the story of a unique heist. That aspect could help it when it goes wide, since it is an incredible story, but it seems to be in real danger of getting lost as more and more films geared towards the same audience come out in the build up to awards season. Ben Gruchow: What I saw happen here was a case of Sony trying to make an event out of a film that was tracking pretty indifferently; with a budget of $35 million and a fairly high concept, it's not going to go down as a disaster.